In-case you haven’t heard about it yet, last year one of the most amazing speaker series in the history of startups was published on YouTube. It was curated and moderated by Sam Altman, the relatively new President at Y Combinator. The series takes place at Stanford University, where one-at-a-time his colleagues in the industry discussed key aspects of starting a startup from their perspective. We plan on breaking down some of the better ones into essays; the first of which is Lecture 8, by Walker Williams of TeeSpring on the subject of building things that don’t scale. “Build Things That Don’t Scale” is a statement originally coined by Paul Graham, Sam Altman’s former boss and founder of Y Combinator. He did so through this wildly popular essay. From there, many of his disciples have gone on to expand upon the original thesis – that is exactly who Walker Williams is, and what he did. The concept of building things that don’t scale is all about battling the inner daemon that a lot of entrepreneurs have when setting up their startups’ processes. Let us make up a fake business for a second to explain what wemean. Picture a toothbrush subscription service that mails out a new toothbrush right to your door every quarter, so you don’t have to remember to buy a new one. One of the things that will need to happen is your customers’ orders and information will eventually need to get into a database so your fulfillment center can process the monthly shipments. This might lead you to believe you need software to do such a thing. But, that’s not what the first step should be – according to the philosophy promoted in Walker’s lecture. Instead, the first step should be to manually copy and paste the info from your payment processing portal over to your fulfilment database, one at a time. We understand that the automatic feature will save you a ton of time, money, and energy. But you have yet to prove that this is a process that’s going to stick around forever. The ‘build things that don’t scale’ philosophy is all about killing any investment in UPFRONT time and money in things that have yet to be proven are going to work, or at the very least be an effectively temporary process. What we might find is that we need a new fulfillment center, or a new payment processor, or whatever…next thing you know, the thing you spent all that upfront time and money on is rendered obsolete, or needs a time-intensive restructuring. Eventually, you’ll know what you can’t do manually, yet need the process done often, and you’ll invest in automating said process. But until it’s proven to be something that’s going to be around for a long time, just be the Wizard of Oz behind the scenes pulling all the levers individually. Here’s Walker’s definition of “building things that don’t scale”…and we’ll let that segway into the synopsis of his talk, and our takeaways on his main points…. … “things that are fundamentally unsustainable, they won’t last, and won’t take you to a million users.” – W.W. The kind of time and love that will more than likely start out unprofitable. Eric Ries sometimes refers to this concept as the ‘concierge MVP’ (minimum viable product); where at the MVP stage you provide concierge-esq service to those early customers in an effort to overly-satisfy them while you’re still trying to learn your startup’s place in this world. Is this type of service sustainable? No. But it’s how you’re probably going to have to start. Slowly but surely you’ll reel back that extra service in an effort to “scale”. “A user who talks about and advocates for your product.” – W.W. So how do you create these champions? The answer is more simple to explain than it is implement. The answer is to delight them with their experience in a way that is unusual or “out of this world”. To provide an experience like this, the first step is to simply talk to your customers. Half the reason is because early advocates want to know they’re being heard; the other half of the reason is because what they’re saying is going to be your roadmap for continually improving your offering. Don’t shy away from running customer service yourself. Don’t fear an angry customer. That feedback represents pure gold. Next, reach out to both current customers, as well as churned customers (users that have left, or don’t seem to be coming back). You’re gonna want to keep a grip on the satisfaction levels of the people whom are still buying from you, but you also want to reverse engineer the reasons why the churned users left. Do more of what is keeping your current customers happy, and less of what is making the others leave. 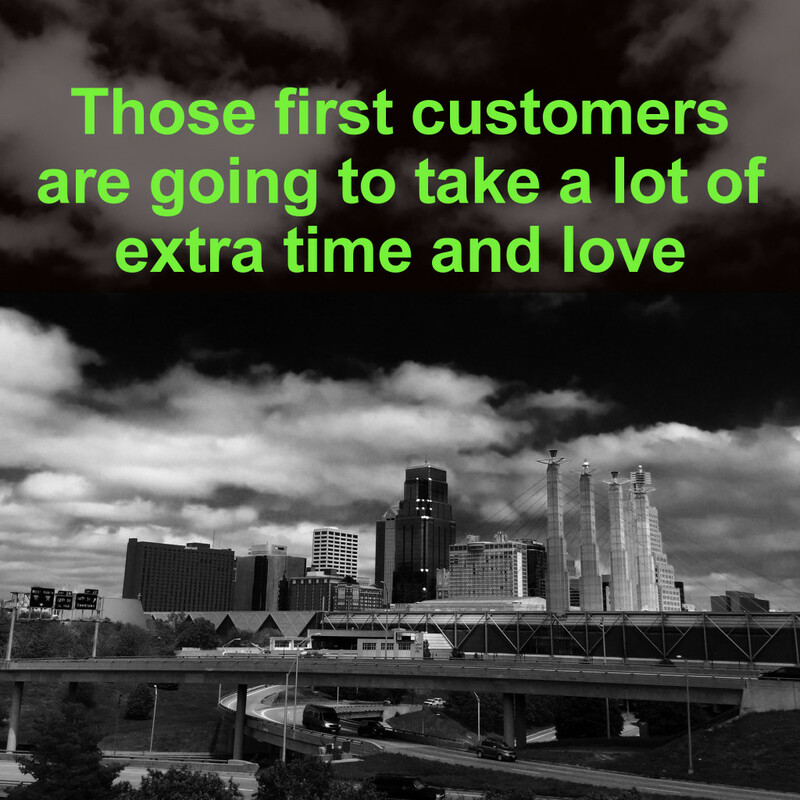 Don’t be afraid of attempting to woo back a customer that has left. Remember how hard it was to get them in the first place? Well, we need them back for that reason. The other reason we need them back is because a customer that you can bring back to the table and figure out how to delight them, despite a failed first attempt, will more than likely create one of the most powerful types of champions. Startup entrepreneurs in Kansas City tend to have a hard time wrapping their heads around this concept. It’s a philosophy that lay at the heart of Peter Thiel’s thesis in his big success of a book, “From Zero To One”. It’s complimentary to the building things that don’t scale mantra. You can use this framework when deciding how many widgets to manufacture, people to hire, money to raise, etc. For the sake of this essay, we’re going to use it to describe how many customers to attempt to gain at a time. Orders of magnitude mean a 10X (ten times). So when “only worrying about the next order of magnitude”, only worry about one customer at first. Then, get ten. Then, 100. Then, 1,000. Then, 10,000. Then, 100,000. It seems simple, but let us break it down for you. The exercise is all about framing your priorities. When the first step is to get a single customer, you don’t have to necessarily worry about a million things…like fancy design, cool business cards, networking events, automated calendaring systems, social media ads, etc. All you have to do is go get one customer. To accomplish this feat you don’t need “scalable” features or processes. Just go get that single person in whatever ways your instinct is screaming will work best. When that’s the task on your plate it’s a lot easier to take a feasible bite. Once you have that one customer, you’ll have more information and experience; that information and experience will then help you decipher what the strategy will be to entice ten customers; then 100; then 1,000; and so on. But if you start with 1,000 in-mind, or a million, or whatever else Shark Tank makes you feel you need to start with, you’re making the next step infeasible. When you’re building for orders of magnitude-level growth, you only have to “build for the scale” that you’re at right now. This will allow you to slowly bite off pieces of the “scale beast” one at a time, instead of ‘building for scale’ from the onset. “You want to do things that don’t scale for as long as possible. 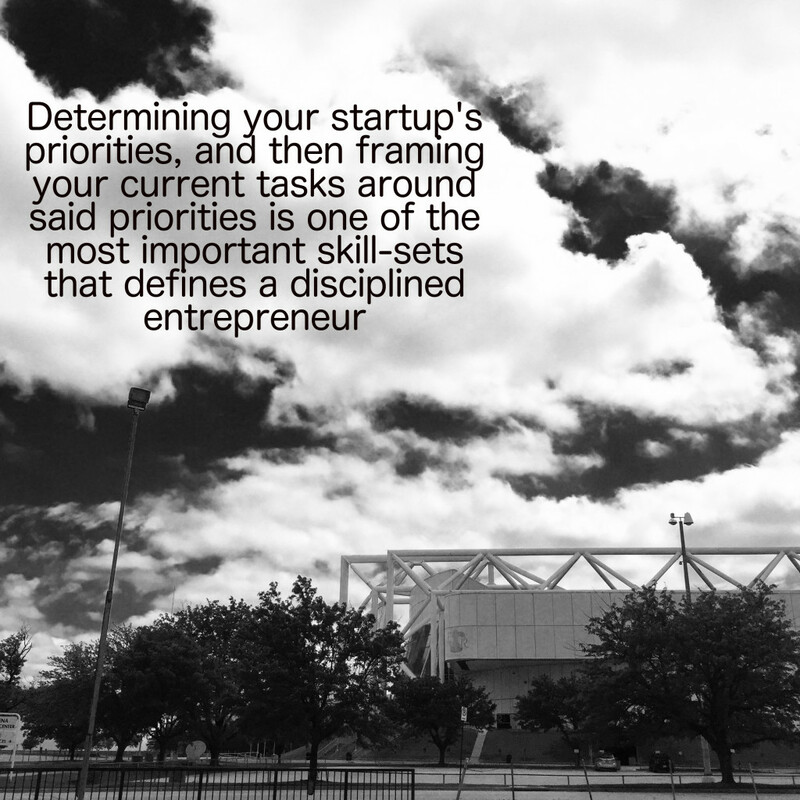 It’s one of your biggest advantages of a startup. Don’t give it up willingly, it must be ripped from you.” – W.W.
For reference, here’s the video. Keep in-mind this episode has three speakers, Walker is the middle one, and we’ve identified the start and end times of the video where he speaks (although the first and third speaker are also good).